Consumption of non-alcoholic beverages in Bulgaria increased by 11 per cent in the first half of 2008, the Bulgarian Soft Drinks Association reported on Friday. The increase is especially marked during the summer season. The growth in the sector puts Bulgaria at the second place in the EU in terms of soft drinks consumption per head of population. The Association is of the opinion that the per head consumption of soft drinks in this country will grow from 217 l in 2007 to 240 l at the end of 2008, which is equal to a growth of 11 per cent. 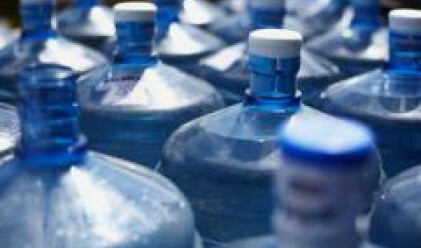 Bottled water consumption for the first half of the year stood at 342 million l. Prices of bottled water increased between 5 per cent to 7 per cent depending on the size of the bottles which is attributed to the increased costs for packaging and transport. Total consumption of soft drinks in January-June stood at 794 million l, 77 million l up the figure for the like period in 2007. Bottled water consumption was up by 13 per cent, or by 36 million l. Consumption of natural mineral water increased by 12 per cent. Demand for natural fruit juices and nectars increased by 20 per cent year-on-year and was mainly due to Bulgarian-made produce, the Association said. Sales of carbonated drinks increased by 7 per cent, or 20 million l year-on-year.